So, for the people who haven’t dismissed me as a “hater” based on the title alone, let me clarify; Chance The Rapper makes really good music. He has his own lane that reminds me of Kanye West’s earliest playful, earnest, Gospel-tinged aesthetic—and I can enjoy it without feeling like he’s a Kardashian away from doing a 180 and alienating his people. 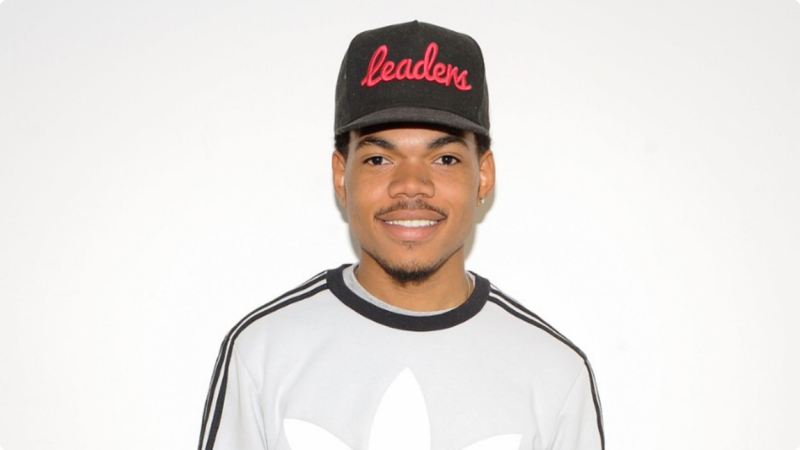 Chance seems genuine—about his humility, social agency, and devotion to Jesus. What he’s NOT though, is a logical archetype for the modern independent artist. Mainstream media outlets have been pushing this narrative down our throats for the past couple years, and it’s been in overdrive since his Grammy trifecta. While it’s imperative for aspiring hip-hop artists to focus on independence and sidestep mainstream labels who can’t do as much for them as they can with seed money, a smart, connected team and work ethic, it’s not a good idea for an artist doing 1,044 Soundcloud plays a month to think that Chance The Rapper is their blueprint. Sure, anything it possible…but that’s not going to happen. He is an anomaly, like Jay Z is to the notion of drug dealers turning street money into a legitimate empire. Lots of label owners and artists did it well, but no one did it like Jay. Probably because they weren’t supremely gifted lyricists with money from ’88. AND they didn’t have a pit bull like Dame Dash in their corner to fight for them when labels didn’t see it. AND they didn’t inherit a huge demand after the biggest artist in their city was murdered. AND they didn’t have the personality that allowed them to move through a room full of vultures. This is why he can drop bars like “there’s only one Hov” in good conscience. Similarly, Chance The Rapper’s prosperity has come from a succession of circumstances the majority of independent rappers just won’t have. His father has worked for two Chicago Mayors and also worked with then-Senator Barack Obama. Chance’s family almost moved to Washington to help the Obama Presidential campaign. It’s highly likely his father’s previous relationship with Obama played a factor in opportunities such as his two White House performances. Chance first did that after Acid Rap. The average indie artist could only be performing at the White House during an acid trip. At 19, while buzzing off of a 10 Day mixtape recorded during a school suspension, Donald Glover gave Chance the most important advice of his career: hire a good business manager. Chance didn’t just hire a strong manager, he also was able to secure the services of Cara Lewis, one of the most powerful people in the industry, as his booking agent. Besides Rakim and Eric B, who etched her name in history on “Paid In Full,” some of Lewis’ current and past clients: Tupac Shakur, Mary J. Blige, Kanye West, Jay Z and Eminem. Since then, Chance has been on a rapid ascendance toward the heights of those artists. He’s starred in Kit Kat, Nike, and NBA commercials. He’s had tour partnerships with Citibank and Bud Light. Most notably, he was one of the first artists to sign an Apple Music deal around the service’s launch, which gave him the support of one of the most influential entities in the music industry. His 2016 agreement to make Coloring Book a two week Apple Music exclusive put him in front of a then-13 million Apple Music subscribers. These subscribers no doubt saw his project prominently placed on the app–if not the TV commercial Apple did for the mixtape that aired during the 2016 NBA playoffs. That’s why when he became the first artist to debut on the Billboard 200 strictly off of streams, it wasn’t an improbable, “score-one-for-the-indies!” victory the way it would be for an Oddisee, but a mere formality of cutting a deal with a ubiquitous tech giant that was trying to get their big idea to pop. An under-the-surface examination of Chance’s most ballyhooed accomplishments reveals that championing him as a beacon of hope for independent artists is a tenuous endeavor. He’s the best case scenario for indie acts in the same way NFL Hall of Famer Kurt Warner’s rise from grocery store clerk is the best case scenario for Pathmark employees. Writer Richard King once credited indie stalwart labels Mute and Factory for “embracing the incipient DIY ethos and building their own space alongside the established corporate music business.” Years later, in an oxymoronic twist, Chance the Rapper’s successes have been won from inside the corporate establishment. Chance and his team deserve credit for properly navigating his career in a fluid era for the music industry. But it’s disingenuous–if not disrespectful–to deem his maverick career path a how-to guide for indie artists scraping up money for mixing and mastering, trying to find affordable production, and entreating coverage from indie zines–not national TV commercials. Chance may be the first Millennial artist to exemplify that a newcomer no longer needs a record label for superstardom, but if it turns out he had a “wink wink” label deal such as the kind mentioned in DJ Booth’s aptly titled “Your Favorite Indie Rapper is Secretly Signed to a Major Label,” would you be surprised? For fans who simply enjoy the music, none of this matters at all. But for aspiring artists and others within the music industry, transparency is paramount. The music media can’t irresponsibly misrepresent possibilities or entrench unrealistic barometers of success. Chance’s ascension–while commendable–was bore from a strategy diametrically opposed to the feasible formula for indie artists, even today. It was achieved with means unattainable to those hordes of artists that submit to Impose everyday. So yes, we can admire Chance The Rapper’s strides, but those unprecedented achievements make him the exception that proves the rule–not the harbinger of new rules by which all independent artists should adhere to.